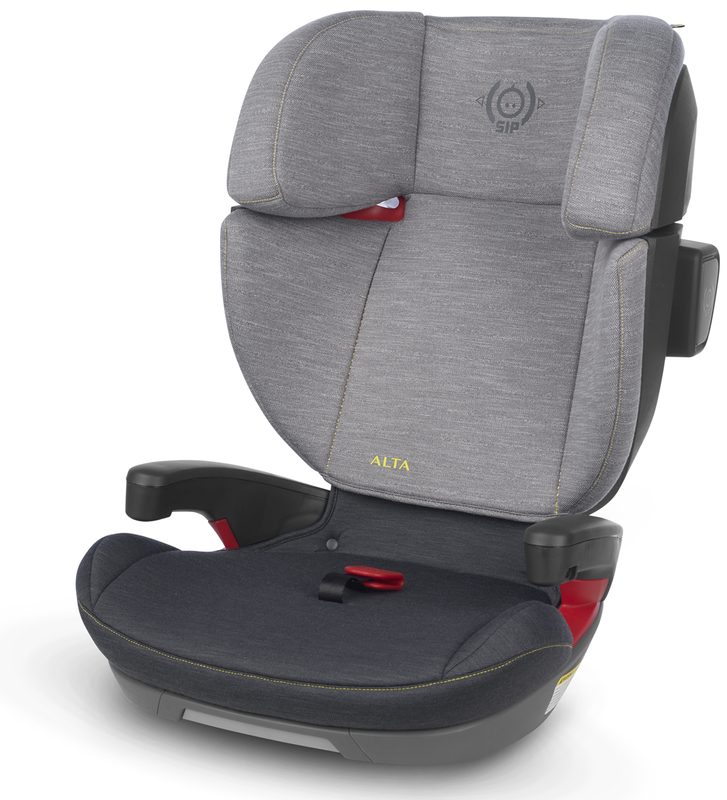 The ALTA high-back belt positioning booster (for US and CA) extends the UPPAbaby Car Seat Family to provide a next step car seat solution for children from approximately elementary school to pre-teen years. Modern styling and ‘cool’ fashions distinguish the seat for your older child. Multi-position headrest with SecureFIT integrated shoulder belt guides and lap belt positioner, easily adjust to ensure proper belt fit and positioning for your child while Side Impact Absorbing pods on the shell provide advanced side impact protection. Rigid LATCH connection secures the seat to the vehicle for when not in use and aids in properly positioning the child in the seat. Included dishwasher safe cup holder make longer trips a breeze. Seven position adjustable headrest and spacious design accommodate growing children. High-back belt positioning booster with SECUREFit belt routing system ensures proper fit for both lap and shoulder belt while preventing belt slippage and misplacement. • Required Lap-Belt Positioner secures and positions the vehicle lap belt for proper fit and prevents submarining. Rigid LATCH connectors secure the booster and ensure proper alignment to the vehicle.